CHILDREN’S ART AND LITERATURE FESTIVAL Art and literature for children provide a lens through which children can “reread” the urban environment, its historic buildings, and places of particular cultural interest, transforming them into places of literary initiative and reinvention for the youth. Children’s Art and Literature Festival is a project of the non-profit organization La Torlonga, in collaboration with the Pel di Carota Bookstore. The Festival’s aim is the protection and promotion of the historical and artistic heritage of the city of Padua and to promote the city as a destination for tourist and cultural attractions of the Veneto. Thanks to the involvement of young artists from different cities, the contribution of the Fondazione Cassa di Risparmio of Padua and Rovigo, the Municipality of Padua and the sponsorship of the Veneto Region, the Festival is intended not only to attract a large audience of young readers and fans, but also tourists, who may choose to spend a few days in the city to attend the Festival. Alongside more traditional meetings between writers and the public, participants will also experiment with new ways of experiencing the worlds of education, exchange and research, through usual guided tours to the historical and artistic areas of the city, as well as through literature readings, sessions with authors on the writing process, forays into literature of past eras, and interviews of authors by students selected from among participating primary schools. Arianna Vairo, (illustrator under 35), was given the task of creating eight engraved wooden pannels that symbolised the important landmarks of Padua. They will be exhibited in one of the Punto e Virgola locations and will be reproduced in the Festival coloring book. 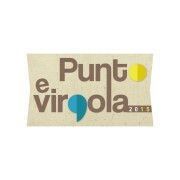 La Torlonga, with Punto e Virgola: Children’s Art and Literature Festival was the winner of the 2014 CulturalMente grant in the development, environmental protection and artistic heritage divisions, the third consecutive grant with which the Fondazione Cassa di Risparmio of Padua and Rovigo is supporting the cultural productivity of youth, and creating job opportunities and awareness of the importance of "networking".